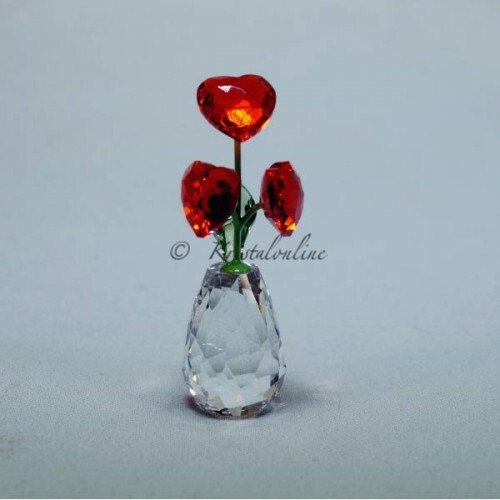 This never fading flower continue to sparkle in red crystal. 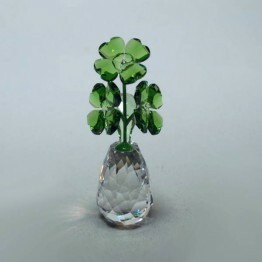 The leave is made of green crystal and the stem is made of green metal. 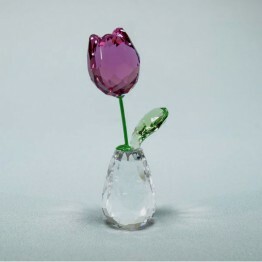 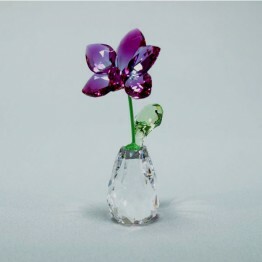 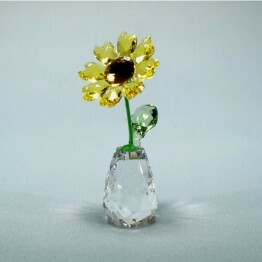 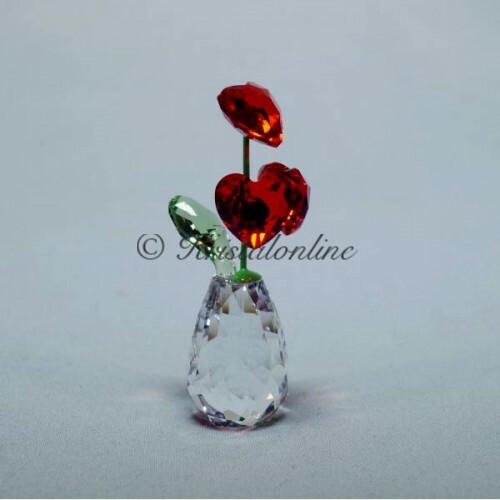 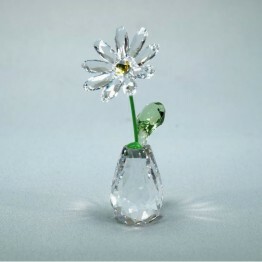 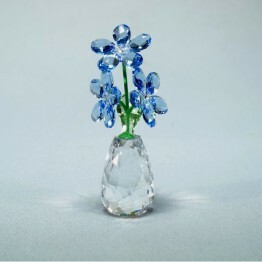 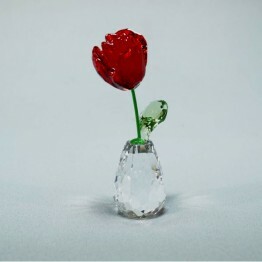 The flower is standing in a clear crystal pot.